I've connected WeatherDuino Pro2 PLUS to a Raspberry Pi2 with CMX V3 b3043 running . This means that by sure you have done significant changes on the WeatherDuino Pro2 PLUS code, which makes that it is busy doing something else, instead of being ready to answer to loop commands. A possible cause could be a change in the WU upload routines to try to upload data more frequently than allowed. But there are many other possibilities. Execution time of each routine is critical. If you want to change the code you should be very careful about the execution time of each routine. You're right, i'm using WIFI to get data (domotique) from my server to display them in a specific screen. I'll have a go with this 'domodata' disabled to see what happens . It' working fine with my code modifications disabled. I was doing a request (through WIFI) every minute ! Will do that every 10 minutes and see how it works. All users of the WeatherDuino Pro2 PLUS can now add Air Quality data to their Weather Station. The WeatherDuino Air Quality Monitor, is a device which can be used as stand alone unit, but also have the capability to send data to a WeatherDuino Pro2 PLUS receiver, which by turn can send this data to a ThingSpeak channel, or directly to your Wunderground webpage, using the WiFi capabilities of the WeatherDuino Pro2 PLUS receiver. The sensor used to measure PM2.5 and PM10 particles is the PMS7003. The WeatherDuino WiKi is already available. 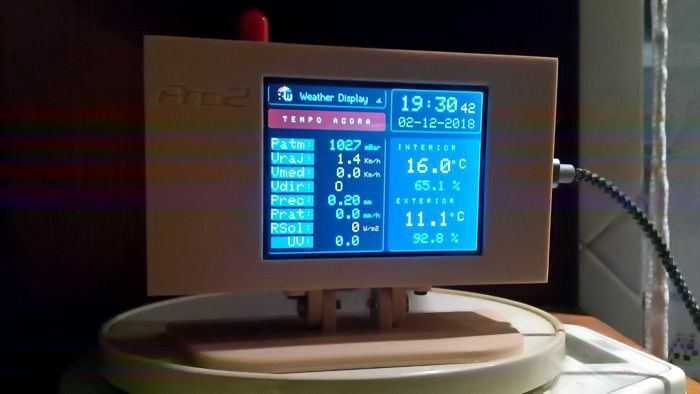 Still is a work in progress, but already contains a lot of useful info, specially for those who are looking for quick information about the WeatherDuino system. Everyday more info is being added. 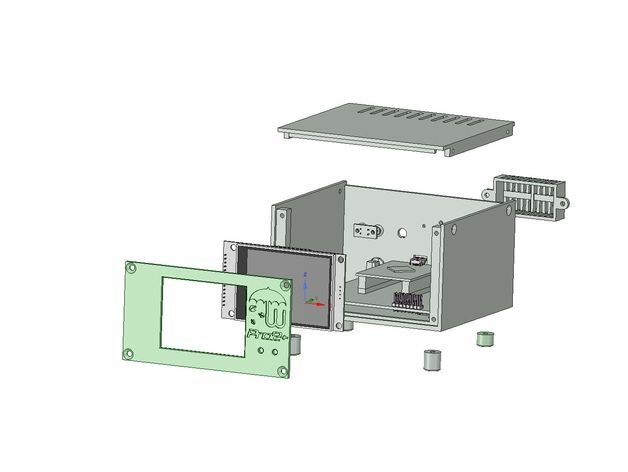 A member of the WeatherDuino Team (Jarek from Poland) designed a set of nice 3D printable enclosures for the Pro2 PLUS and Pro2 Compact receivers, as also for the WiFi Wireless Display units. Latest software for the WeatherDuino Pro2 Compact receiver and the WiFi Wireless Display units, is now using smooth fonts with support for accented characters used on many languages as German, French, Italian, Spanish, Czech, Polish, Portuguese, etc.